When Ryan Hill decided to design a new office bar for his magazine, The Garage Slab, he didn’t want to use the same old minimalist wall shelving he’d seen everywhere. Hill’s magazine is dedicated to giving a real-life inside look at multipurpose garage spaces, so he decided his office should have the same industrial feel. “We wanted to use materials someone might have in the corner of their garage,” Hill says. The pipe and connectors were bought at a local hardware store, and everything was measured and cut to size. (You can ask your own local hardware store for help with this.) 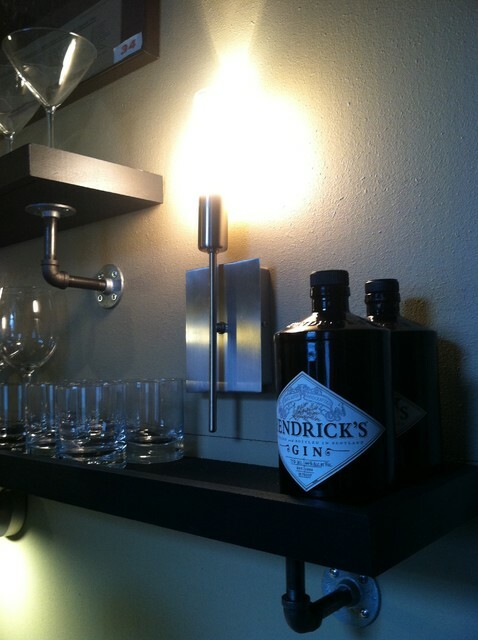 The pieces were attached to the shelving and walls with 1-inch zinc screws. The Garage Slab team framed the space with 1-inch-thick MDF instead of standard drywall. 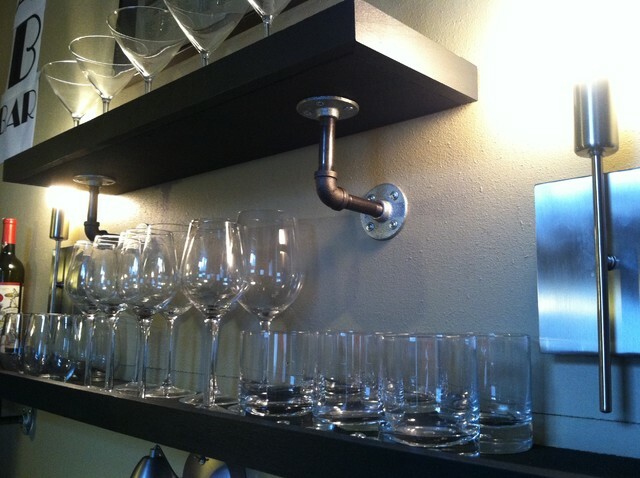 They wanted to screw all the bar components into the wall, and the MDF gave them a more stable surface. Hill and his co-workers made the shelves out of recycled wood they salvaged from a project Hill’s business partner was working on. They cut the wood to size, put a drip edge on it, and gave it a few coats of black paint before installing the pipe brackets. 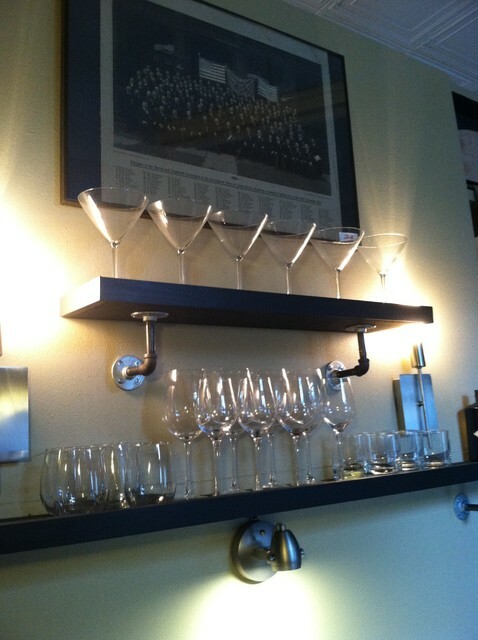 They added in a few sconces for ambiance, placed their glassware on the shelves, and the bar was complete. Tell us! What can you make with the stuff in your garage? This entry was posted in Home Design and tagged Amarr, amarr garage doors, garage, garage doors, garage organization, home design, interior design, remodeling, Sustainability, upcycling. Bookmark the permalink.